Kid Rock jokes around and supports his buddies! Which movie did he play Robby in? Have 당신 seen kid rock in 음악회, 콘서트 ? What song do 당신 like the most? Looking for Kid Rock song title. Can I ask Bob a guestion? The organization, Tickets For Charity, has teamed up with Kid Rock and Live Nation to promote his new show and raise money for an assortment of charities. Here's how it works. Tickets For Charity develops relationships with artists (like Kid Rock) and then get access to a bundle of tickets with premium 좌석 locations. Then Tickets For Charity sells these tickets from their website at a premium and all the money that is above the face value is directed towards the charity of the buyer's choice. Does anybody have Kid Rock's extremely rare "Fire It Up" Cassette 또는 7-inch Vinyl release from '93? 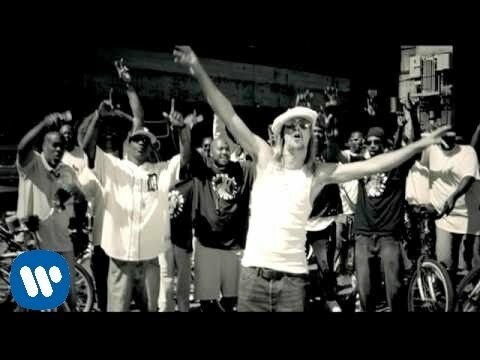 a question 추가되었습니다: Looking for Kid Rock song title. a comment was made to the poll: Which movie did he play Robby in? Has he appeared to wrestlemania25?